You deserve professional help from a company that is IICRC-certified to handle both commercial and residential water damage. The techs at 911 Restoration of Seattle are licensed, bonded, and insured to handle all aspects of the water damage restoration process. 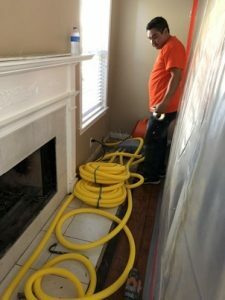 If you experience water damage in Tacoma or any surrounding areas, call us so that we can get to work providing you with the Fresh Start that you deserve. Water damage can have many different causes in the Tacoma area. 911 Restoration of Seattle has the training, equipment, and experience to help if a pipe bursts or a storm floods your home or business. Here at 911 Restoration of Seattle, we understand what it takes to completely handle water damage restoration. That means our techs can take care of flood cleanup, drying, dehumidifying, and any other repairs needed to return your property to perfect condition. We are a locally owned and operated company, which allows us to reach our neighbors quickly when they need help the most. You can contact us during a flood to get help with emergency water extraction. Techs can even pack-out your possessions and store them during a flood, to keep them safe. You can rely on us to handle leak detection. The techs can even handle repairs and restoration after you experience a pipe burst emergency. We know how to take care of mold remediation and mold removal if fungus invades your property after a flood. Get help from a company that understands what you need and cares about your peace of mind. 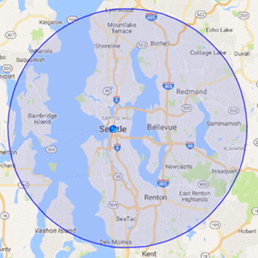 If you need immediate assistance,call 911 Restoration of Seattle today. Water damage can quickly lead to a mold infestation in the areas in and around Tacoma. You can get same day services from the mold experts at 911 Restoration of Seattle if you notice fungal growth in your home or business. 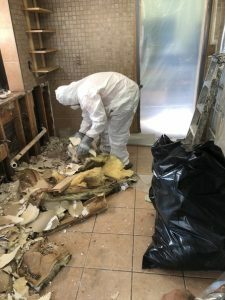 Our mold remediation techs will isolate mold infested areas and then begin the removal process using protective equipment. The mold inspection can also include mold testing at a 3rd party laboratory. Once the mold is removed, the techs can carry out mold decontamination to completely disinfect your property. They can even handle mold removal as part of the flood cleanup process. The techs at 911 Restoration of Seattle know how important your property is to you. Let us restore your home or business to pristine condition today.